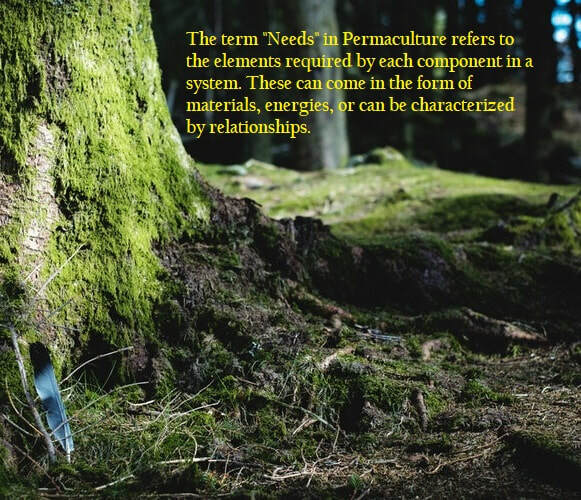 The term "Needs" in Permaculture refers to the elements required by each component in a living system. These can come in the form of materials or energies, or can be characterized by relationships. Many plants, for example need the shelter of larger trees. The trees therefore, are meeting the needs of the smaller plants. Please see also yields.